This Forged fixed blade from J.S. Ben Seward offers a handmade design with a satin finished 1075 carbon steel blade and skeletonized handle with a twist. 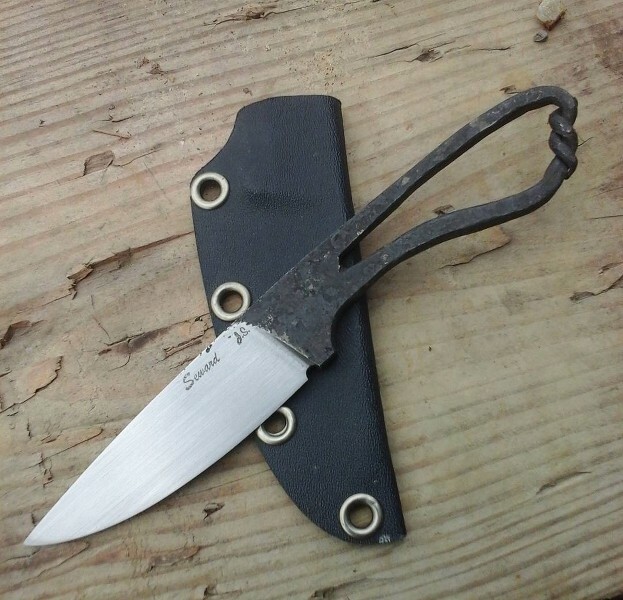 Its compact size allows easy carry in a pocket, small pack, or as a neck knife. Comes outfitted with a custom black Kydex sheath.